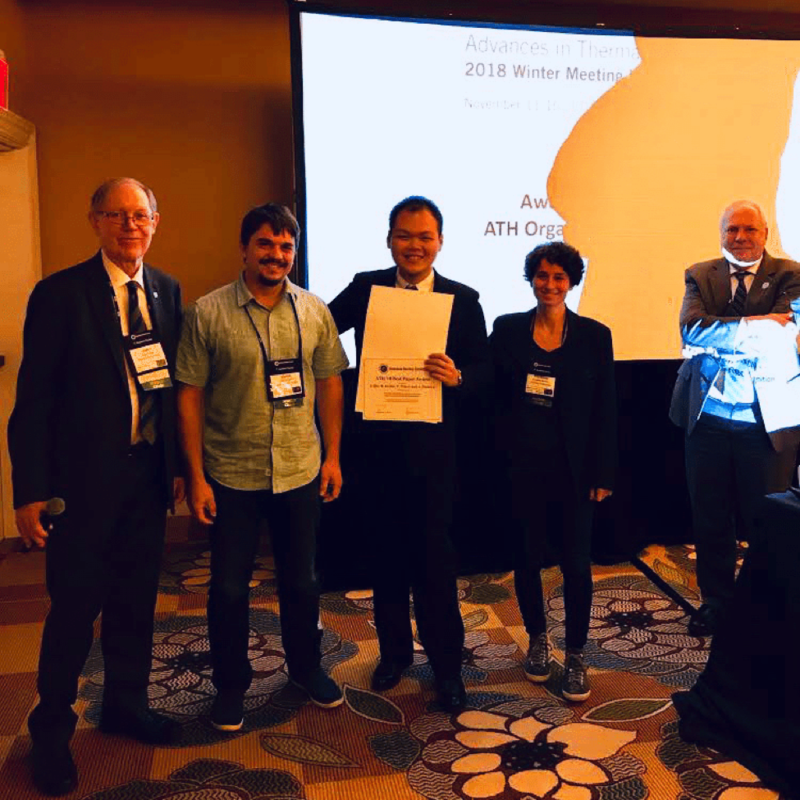 In November 2018, Sunming Qin, Ph.D. student of Prof. Annalisa Manera in the Experimental and Computational Multiphase Flow Laboratory (ECMFL), has earned the “Best Paper Award” at the Advances in Thermal Hydraulics (ATH-2018) conference in Orlando from the American Nuclear Society (ANS) for his work, “Velocity and Scalar Fields of a Turbulent Buoyant Jet in the Self-Similar Region”. The award was presented to only 2 best papers selected from about 150 full-length papers accepted for presentation at the ATH-2018 conference. This is Sunming’s second “Best Paper Award” after the previous one from the 17th International Topical Meeting on Nuclear Reactor Thermal Hydraulics (NURETH-17) held in September 2017.